Victor Silverman is an associate professor of history at Pomona College. He earned his Ph.D. from the University of California, Berkeley. Often quoted in the press for his expertise in politics and history, he is the author of many books and articles: California (Interlink Publishing, forthcoming); Los Angeles Times Front Page (Tribune Media, 2003); "The Failures of Jewish Americanization" in Jewish Locations (Rowan & Littlefield, 2001); and Imagining Internationalism in American and British Labor (University of Illinois, 1999). He currently consults with the international labor movement on sustainable development policy at the United Nations. 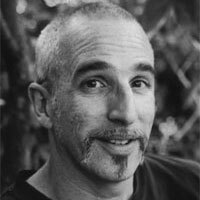 Silverman is a former public service and dramatic program producer and writer for KPFA-FM Radio, Berkeley, and he adapted and directed a stage version of Allen Ginsberg's Howl. He is also the scriptwriter of Out of the Shadow, a feature film on the life of immigrant writer Rose Cohen, currently in development with Northwest Passage Productions.